Mrs. Jane Shearman is our amazing school secretary and assistant in our Parent Tot program. After graduating from Villa Julie College, she worked in the medical field. As her 2 daughters were growing, she became active in church and Sunday school as a teacher. She has stayed busy in the community volunteering as Scout Leader, PTA officer, Meals on Wheels, Fallston Library and Susan B. Koman Race. 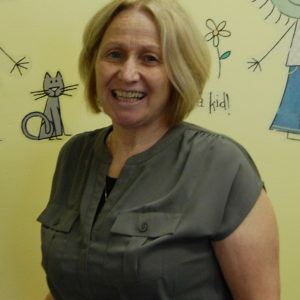 Jane has loved working with the preschool children over the past 20 years. She notes how every little one is unique and that it is so rewarding to watch them grow through the school year. 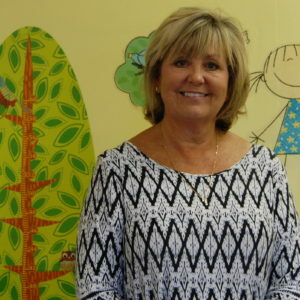 Mrs. Donna DiPasquale has been teaching preschool in Fallston for 25 years. After receiving her Bachelor’s degree in Elementary Education, with a minor in Special Education, from the University of Delaware, she taught middle school special education for Baltimore County Public Schools. Later, she took some time off from teaching while her children were young and loved being home with her family. Relocating to Harford County had her looking for preschool programs for her children. At the encouragement of one of our former directors, Donna started the first Parent Tot Program, a program which offered a unique preschool experience for two year olds and a parent. The Parent Tot program brings parents and their child together for a warm, nurturing, first school experience which has continued for over 25 years. In addition, Donna loves teaching our three year olds and is our Educational Director for our 2 and 3 year old programs. She also has many years of experience with adult education with The Community College of Baltimore County. Donna lives in Harford County with her husband, Marc, and has 3 adult children (all of whom have attended our preschool). Teaching at Fallston Country allows her to combine her love of working with children and parents and gives her an opportunity for creative expression. Mrs. Cheryl Cummings is one of our much loved assistants working with our three-year-olds, as well as, an assistant in our Parent Tot program. She worked part time in a retail nursery while in school and before she knew it had risen through the management ranks of store manager and district manager. Cheryl is a married mother of two. She stopped working in the management ranks to raise her children and relocated to Maryland in the spring of 1991. 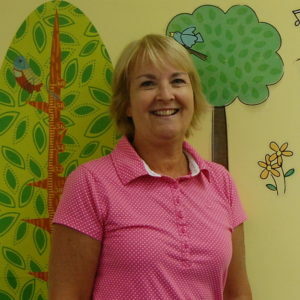 Cheryl started her second career nurturing preschoolers in 1998 once her son was attending elementary school full time. Her years at Fallston Country PreK have given her such joy and purpose. It has been a delight having entire family’s siblings attend her classes, seeing how they have grown, and hearing how they are doing in school. She especially enjoys seeing the 2 and 3 year olds in the community and some are now high school students in her daughter’s classes. Bekky Levesque is our talented 3 year old teacher. Although the newest member to our staff this year, Bekky is not new to Fallston Country PreK as a mom of one of our recent 4 year old graduates. Her classroom experience includes teaching primary grades in Baltimore County and Massachusetts. 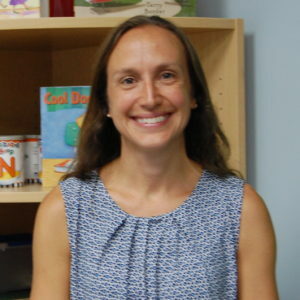 Bekky has a Bachelor’s degree from University of Maryland Baltimore in Psychology and holds a Maryland Educator Certificate in Early Childhood Education PreK- 3. Bekky is also a busy mom of 3 children. Her youngest child attended Fallston Country last year. Bekky is a busy volunteer in the Fallston community, Fallston Recreation programs and the PTA at Youth’s Benefit Elementary School. Bekky is looking forward to being a teacher to a class of energetic 3 year olds and is ready to jump in and create an exciting learning environment where children will have fun and thrive. 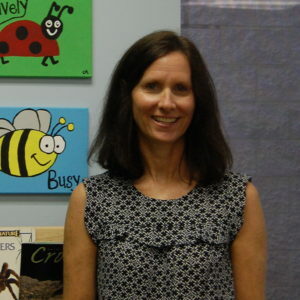 Mrs. Lisa Sporney is an assistant in the three’s program. She has a bachelor’s degree in Art from Goucher College where she graduated from in 1999. She is married with two children who are both graduates of Fallston Country PreK. It was during her boys’ time at preschool that Lisa discovered her desire to work in early childhood education. She is thrilled to be part of the Fallston Country PreK team. Allison originally joined our teaching team as the bubbly and always smiling special area library teacher who read great books to our preschoolers. As our 5 day teacher, Allison brings a wealth of teaching experience. She has spent 16 years in the classroom teaching prek through 3rd grade as well as taking on the role as team leader. Allison has a masters degree in reading from Rider University and an undergraduate degree in elementary education from the University of Pittsburgh. 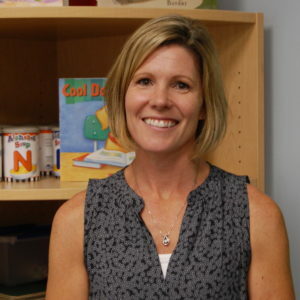 She holds a Maryland Educator Certificate in Early Childhood Education, Elementary Education and Reading Specialist. Allison is also a busy wife and mom of 3 children. Allison brings enthusiasm and warmth to her classroom while providing a creative and engaging learning environment. Mrs. Kristin Connelly is a 4-year-old assistant. She received her bachelor’s degree in elementary and special education from the State University of New York at Geneseo. She went on to receive my master’s degree as a reading specialist from the State University of New York at Cortland. Mrs. Connelly taught special education in the public school setting for three years before moving to Baltimore in 1997 to teach for Baltimore County Public Schools. After teaching elementary education for the next 6 years, she took some time off to raise her two children who eventually attended Fallston PreK. She knew from the day she brought her daughter in for a tour of the school as a 3 year old, that this was the place she would love to work at one day. Mrs. Connelly was impressed by the kindness and competence of the staff, as well as the program they offered. Her children thrived here! As soon as her son started Kindergarten, she jumped at the opportunity to work as the library teacher and was thrilled when she began working with the 4 year olds as a classroom assistant. Mrs. Meghan Fazenbaker grew up in Connecticut. She came to Maryland to attend Goucher College where she studied elementary education. During college and after, she spent many summers living in Cape Cod on a wildlife preserve working as a teacher in a natural history day camp. After college, Meghan was a teacher for Baltimore County Public schools for several years. During that time she completed a master’s degree in reading at Goucher College and a curriculum and instruction degree with a focus on science content at Loyola University. Meghan left teaching to be a stay-at-home mom when her daughter was born. During this time, Meghan worked as a home hospital teacher with HCPS. A friend told her about Fallston Country PreK when her daughter was ready for the 3’s program and she was able to enjoy 3 more years at FCPK with her son as well. 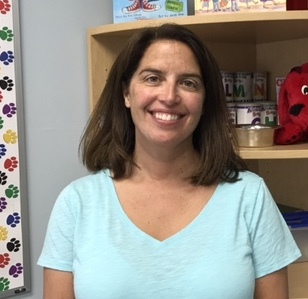 Once her youngest was in school full time Mrs. Fazenbaker joined the Fallston Country PreK team of teachers as a 4 year old and Parent Tot teacher. Mrs. Kimberly Suskowicz is one of our amazing assistants in our 4 year old and Parent Tot programs. Mrs. Kim knew early on that she adored children and wanted to work with them. 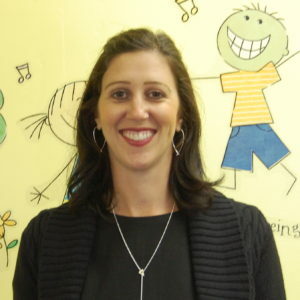 She has worked as a family Nanny and also worked as the lead teacher at a Montessori preschool for a number of years. Mrs. Kim was born and raised in Ohio, but after meeting her husband they moved to Minnesota and she became a stay-at-home mom and later moved to Maryland where she joined the Forest Hill Mom’s Club and served as president for two years. She has two children who both graduated from Fallston Country PreK. She volunteers and substitutes in her children’s schools. Kim enjoys working with the children who live within her community and feels having the chance to work with them in the classroom makes teaching even more special. 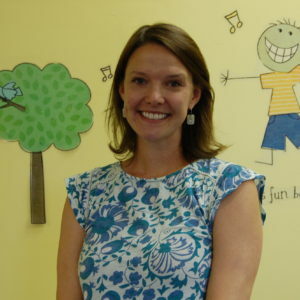 Mrs. Lynn Crofton is the Educational Director of our 4’s program and one of our three amazing 4-year-old teachers. 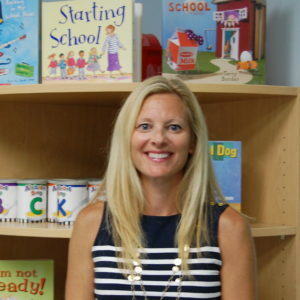 She earned her early education teaching certificate from Villa Julie (now Stevenson University) and taught kindergarten for 5 years in the Harford County Public School System and preschool for 17 years. Mrs. Crofton is married and has 3 children and says Fallston Country PreK’s staff is like her second family. Fallston Country PreK is such a cohesive team that puts our students first, always striving to provide a unique program that nurtures and educates young children socially, emotionally, and academically. Fallston Country PreK is warm and inviting school where school families really feel like part of a very special program. Mrs. Jill White is an assistant in our 4’s program as well as our Parent Tot program. She attended Villa Julie College and then spent eight years working for a major insurance company. She is married and has a son and two daughters. Mrs. White was a stay-at-home Mom and also provided daycare for several children from 1993 until she began working for Fallston Country PreK. She loves working with the people at Fallston Country PreK as well as being able to watch her students thrive and grow. She also enjoys getting to know the families and seeing them out in our community.